Current versions of Google Glass contain processors made by Texas Instruments Incorporated (TXN). Without an official statement or explanation from these companies, the motives behind Google’s apparent new partnership with INTC remain unknown. However, it’s entirely possible that Intel simply created a mobile processing chip that better served Google’s needs and complimented Google Glass in a way that Texas Instruments could not. INTC manufactures a wide array of silicon and has consistently and continually developed new technologies across many areas. On the flip side, TXN is focused almost entirely on analog and embedded processing, and has significantly cut back on other ventures such as mobile computing. For highly mobile-centric companies such as Google, it makes more sense to partner with an industry pioneer that wants a larger share of the mobile market, rather than a company that has taken steps to remove itself. The rumors of INTC’s upcoming deal with GOOG seem to have had little effect on investors, though, as shares of Intel stock remained relatively unchanged in the wake of the announcement. However, Intel stock is more appropriate as a long-term portfolio addition, rather than a swing trade. INTC stock is up 45% YTD and has a total return of almost 120% for the past five years. INTC also announced a 6% dividend increase last month, raising the yearly total to 96 cents, which marks the first increase since mid-2012. At last month’s investor meeting, management described the strategy INTC will employ going forward to increase the company’s presence in profitable markets. Among those markets is wearables, which presents significant potential for Intel stock if the company’s silicon ends up in tomorrow’s devices. It has been estimated that the wearables market could be worth at least $5.8 billion by 2018, which bodes well for INTC’s growing mobile processor lineup. Becoming the provider for Google Glass processors represents a major win for Intel — one that will undoubtedly move the needle higher when the devices finally become available for retail purchase in 2015. However, INTC’s success in the mobile market is not tied solely to Google Glass. The chipmaker announced in September that its 14nm Broadwell architecture is out of the development phase and in full production, scheduled for release in the beginning of next year. Additionally, INTC expects to release iterations of its newest 3G and LTE mobile chips, dubbed Sofia, by the middle of next year. INTC has reported decreasing revenue since 2011, with total revenue slipping from $54 billion at the end of 2011 to just under $53 billion at the end of 2013. Management expects to end 2014 with $55.8 billion in revenue (a 6% increase over last year) and expects an additional 15% growth in 2015. If INTC can increase interest and boost sales of Google Glass to businesses, a 15% spike in revenue growth could be just the beginning for Intel stock. Though Google Glass has been absent from headlines lately, both Google and Intel must see significant potential for the eyewear’s enterprise capabilities. In April, Google announced the launch of Glass at Work, a promotion intended to advance the device’s functionality in the workplace. 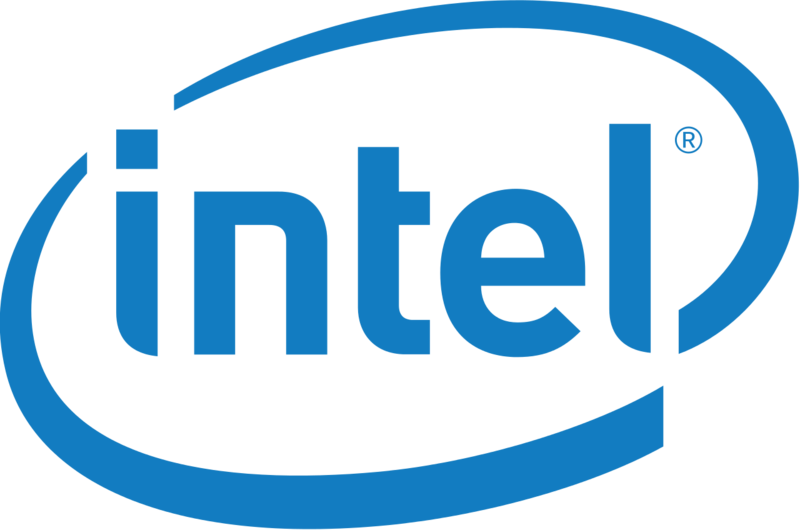 A synergistic relationship between INTC and GOOG could prove worthwhile for both companies, with Intel introducing Google Glass to enterprise customers. Regardless of whether an arrangement with GOOG proves fruitful, or if one even exists at all, INTC is set to continue its advancement into the mobile arena. Thanks to its history of cutting-edge innovation and ever-shrinking microprocessors, Intel stock remains a solid addition to any long-term tech-centered portfolio.